Using hypnotic techniques to improve life and facilitate therapy. 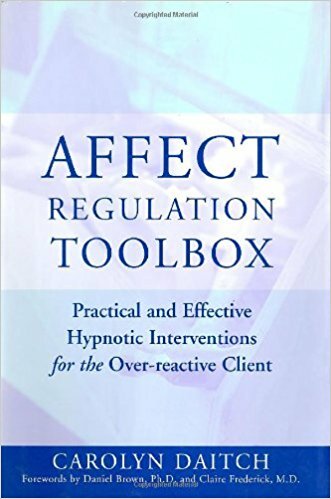 Carolyn Daitch, Ph.D., author of the Affect Regulation Tool Box: Practical and Effective Interventions for the Over-Reactive Client (W.W. Norton, 2007), was awarded the Arthur Shapiro Award for the Best Hypnosis Book by the Society for Clinical and Experimental Hypnosis. An extraordinary book, one that will surely become a classic in the fields of hypnosis and psychotherapy. Her work is one of the decade’s most significant….If you have not purchased and studied this book…do so immediately.